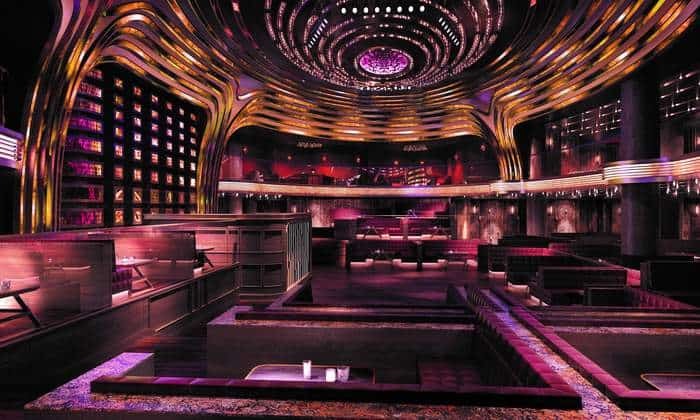 JEWEL Nightclub at ARIA Resort & Casino continues with the next generation of luxury nightlife. JEWEL club Las Vegas opened its doors in 2016 by dazzling guests in their much anticipated, multi-faceted destination. With an amazing opening weekend affair featuring Jamie Foxx, DJ Irie, The Chainsmokers, and Lil Jon, JEWEL set the bar high for fun and entertainment. You can’t miss the chance to party at this vegas hot spot on our free and reduced entry guest list. The dual level nightlife destination welcomes guests to discover an unforgettable venue and it boasts a style that complements the modern luxury of ARIA, while including elements that are altogether unique. With 24,000 square feet of uniquely designed space, it houses nearly 2,000 guests within two intimate spaces, the main club and a mezzanine level with five exclusive VIP skyboxes. This is a great venue to enjoy bottle service. Each skybox suite, thoughtfully positioned to give extensive views of the action below, features exclusive entrances for VIP guests. Guests enter through a secret doorway disguised as a custom-carved armoire leading to an elegant space with dark wood walls and plush seating. Jewel Aria is definitely be a club you must visit! So signup today, in only a few seconds you could be on the most trusted VIP guest list in vegas!